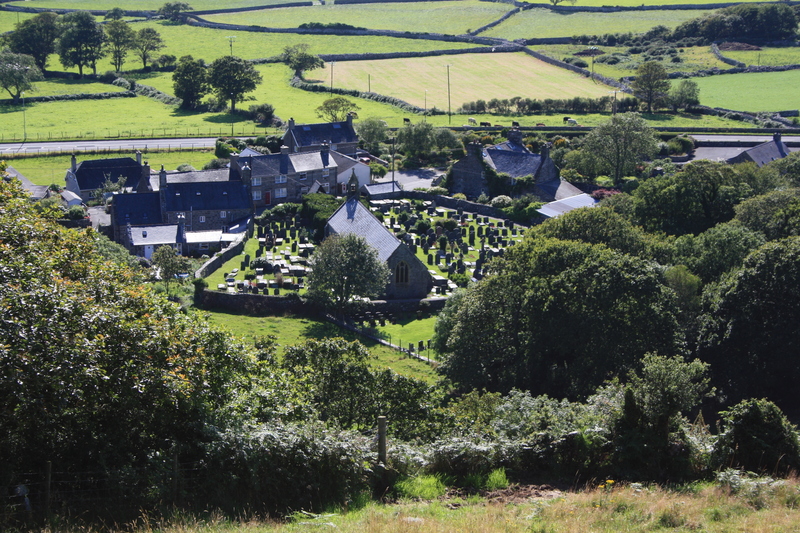 From the coast at Llanfair, south of Harlech, St Mary decided to walk across the hills towards Hafod-y-llyn. On her journey she became thirsty and stopped to drink from a small spring. 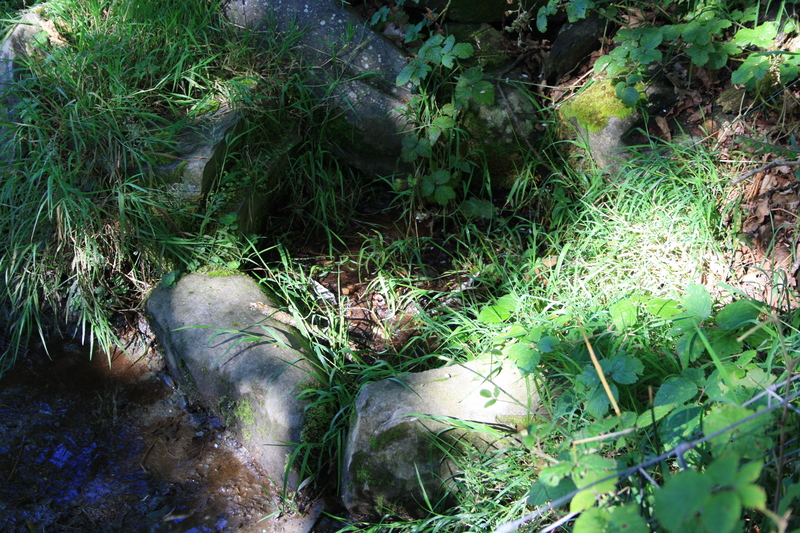 In doing so, she left the imprint of her foot on a rock beside the spring. Ever since the spring never failed to produce pure fresh water. We know this from an information leaflet provided in the church there, it even includes a photograph of the footprint, though fails to say where or when the picture was taken. I asked the lady who looks after the keys, but she didn’t know either. She had an idea that it might be alongside a footpath running eastwards from the old vicarage. There were many stones along that route that bore marks that could resemble the photo in the church, all formed by lichen on the stones, but no signs of a spring along the way. Most records however point towards a different location, to the south of the vicarage by Uwchllan farm. In 1894 the well was described by Richards and Lloyd in the Transactions of the Cymmrodorion Society as being covered with slabs and earth. 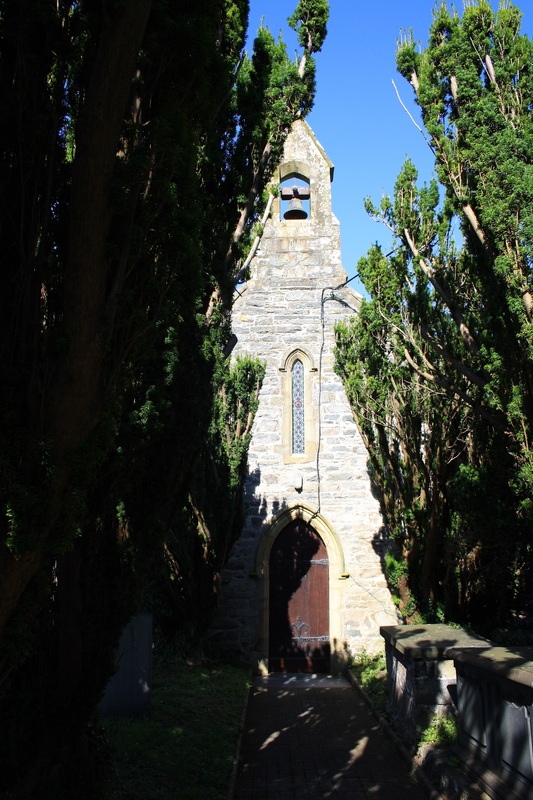 They noted that a more ancient well in ruinous conditions was described as being covered in briars and down the hill towards the church. Top of hill east of church just below Uwchllan farm. Sunken reservoir 27 by 21 inches. Overgrown, church is 260m to south west. All this background reading then did not prepare me for what I found on reaching the tie identified by the Royal Commission. 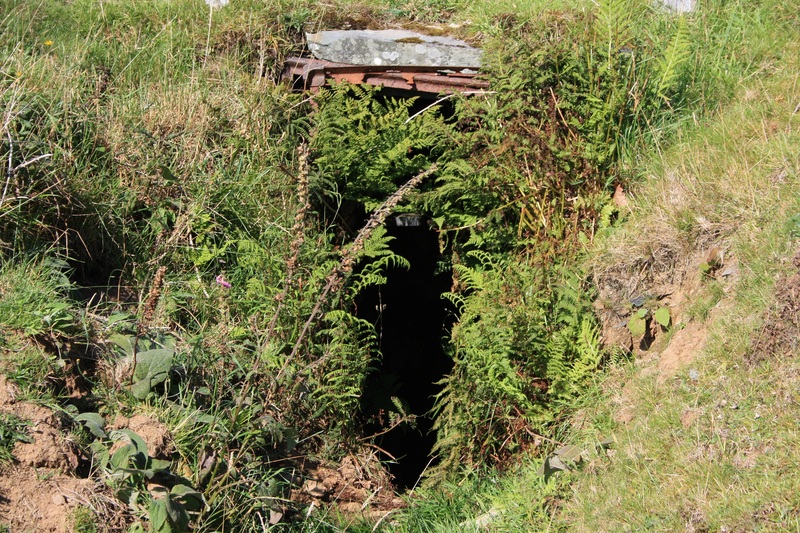 The feature that we find now at the specified grid reference now is intriguing, A stone lined underground chamber with steps leading down into it, seemingly used for storage or rubbish by the farm. Ffynnon Fair is a sunken well dug into the slope with a number of well built steps leading down into it. The most recent reference included in the Coflein citation is to a note by N Vousden of RCHAMW made in 2012 which may have been the source of this description. Now I certainly have problems with this.If the well were such a substantial structure then I would have expected the information in the church, which shows a picture of Mary’s footprint, to also draw attention to the size and nature of the well. And the implication from the story there is that it should be a small surface spring rather than such a deep structure. The 1894 description of it’s being covered in earth and slabs I suppose could be a loose interpretation of what is there, although it could have been much better described. The 1914 Royal Commission description, on the other hand, if they saw the same site, is just misleading. Some 10 yards or so further down the field is a small depression with an animal water trough in it, again this may or may not tap into the spring, there was no one around to ask during our visit. Further down the path leading from Uwchllan to the village I found what was perhaps the other well identified in 1894. This lies immediately beside the path and gave the impression of having recently been cleared out. It is ringed around by large stones and forms a small stream flowing down the hillside beside the path that leads down past the old slate quarry towards the church. 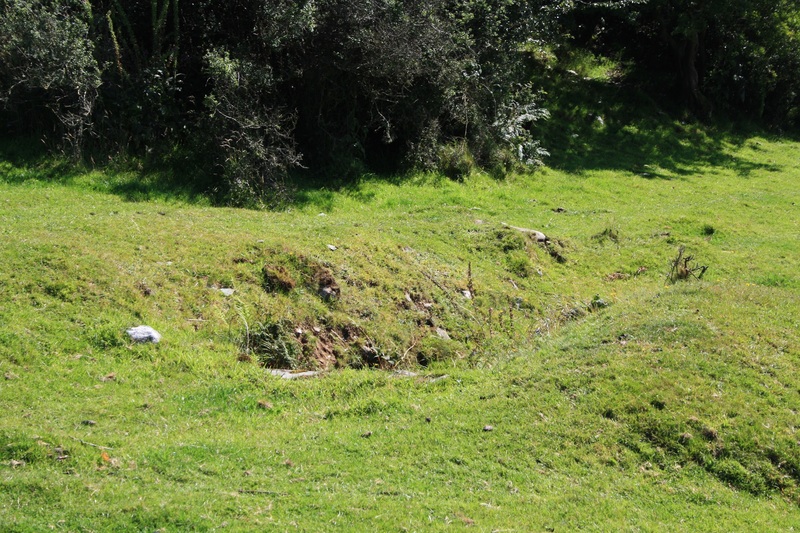 It is quite possible that Ffynnon Fair was originally a surface spring that has been excavated and enlarged at sometime, either before or after 1914 to create a water supply for the farm or neighbouring houses. I post this as a work in progress, there is clearly more work to be done on Ffynnon Fair here.